← Day Five: Viking Splash Tour. I thought I might mix things up and do something quasi-educational today, and so I coerced a proper Dubliner to join me on a day trip to Newgrange and the Hill of Tara. There’s something quite Canadian about the fact that very few people outside of Ireland have heard of a place that is 500 years older than Stonehenge, and a 1000 years older than the Great Pyramids at Giza. For real! It’s supposed to be some kind of passage tomb or ancient temple… probably both. What I can say is that it’s freaking cool. We opted to join a tour with Mary Gibbons, who truly is a fountain of information pertaining to the region known as Brú na Bóinne (no idea how to pronounce that). 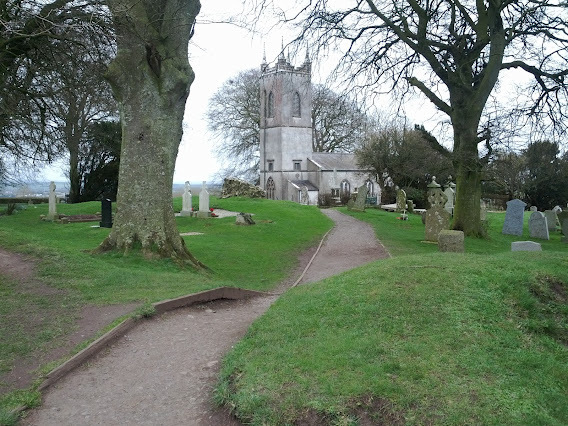 The first stop was the Hill of Tara, where, on a clear day (so, twice a year, maybe?) you can see three quarters of Ireland. Not too shabby. It was apparently the former capital of the region, perched high up, where they could see anyone approaching for miles – giving them plenty of time to peel the potatoes and put on the tea. Like all good ancient historical sites, it is complete with its own fertility monument and spooky cemetery. 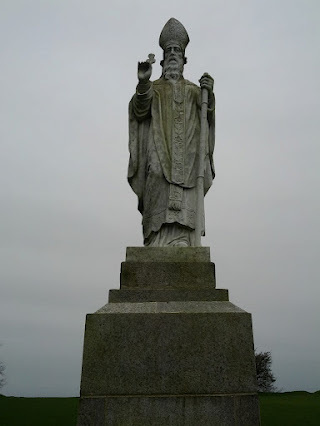 Even the statue of St. Paddy (who was not Irish, by the way) is outside the cemetery wall, with his hand kind of waving as in, no thanks, I’m good out here. 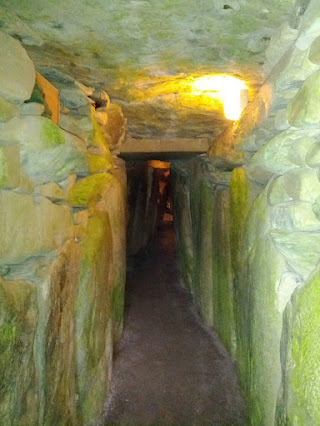 Next on the agenda was the main attraction, namely Newgrange, which is the key part of a Unesco World Heritage site. It’s everything I imagined the grassy knoll should look like from the outside, but get to the front and go in, and you really get a feel for the technical ingenuity of the good old days in 3200 BC. Sure, the joints are not as smooth as the Mayan or Incan stuff, but they had at least 1000 years to figure that bit out. Cut them some slack! You need to watch your head on the way out, by the way. This bears repeating. Even though our guide told us twice. Just saying. The passageway opens up into a high-ceilinged dome that has not leaked since it was built… Um, what? This is Ireland. That’s insane! The architect was apparently also a bit of an engineer, and overlapped the stones to build the roof of the main chamber with the stones angled down and away, so that the water would follow the gutters they niched out in the stones. Oh, and the gi-normous stone they slapped on top, and huge layers of stone on top of that, and then the grass and earth on top of that… ok, that might also have something to do with it. But still. Not even any real mould to speak of after thousands of years in the land of perma-drizzle is just unbelievable! I am humbled. The best part of the whole place, though, is on the winter solstice, when the place is perfectly aligned with the sunrise to light up the whole chamber for 17 minutes. Are you feeling lucky? If so, you can enter the lottery along with some other 31,000 hopefuls to be there on the day, where they will admit all of maybe 20 people. Those odds are actually pretty decent, when you compare them to playing the real lotto. The fine print would be, of course, getting a sunny day and clear sky on the winter solstice in Ireland. When you factor in that little nugget, I’d say you’re better off at the lotto booth. Better yet, play the horses. Much better odds. 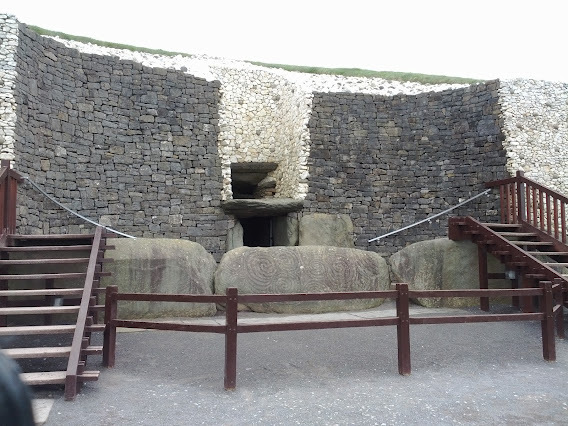 This entry was posted in Educational and tagged Educational, Ireland, March, Newgrange, Slane Castle, Tour, unesco world heritage site. Bookmark the permalink. 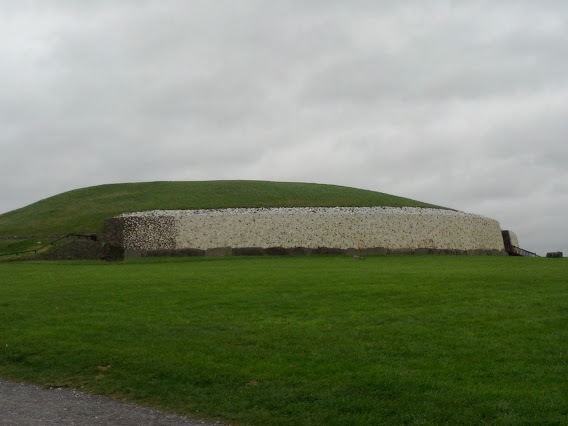 2 Responses to Day Six: Newgrange. Sounds like a great day out with the detoxing Dubliner! I’m impressed with your recollection of all the blurb, you were clearly paying attention! No one is more surprised than moi! Especially with so many shiny objects around.